Enjoy a mass of yellow tulips next spring, when you plant these 500 Kikomachi tulips this fall! 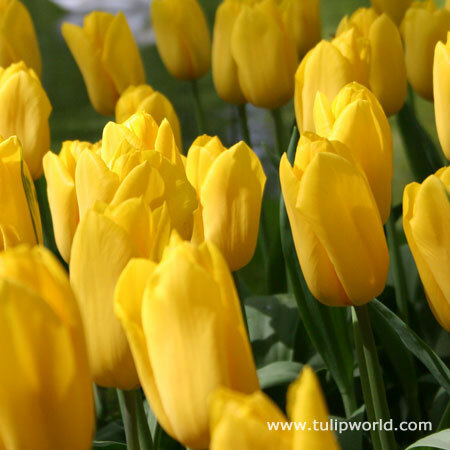 500 yellow triumph tulips will bloom mid-spring and make a bold statement. This package of bulk tulips is great for landscapers, schools, municipalities, hospitals, plant sales, fundraisers and school projects. 500 tulips will cover approximately 100 square feet if planted 6" apart.